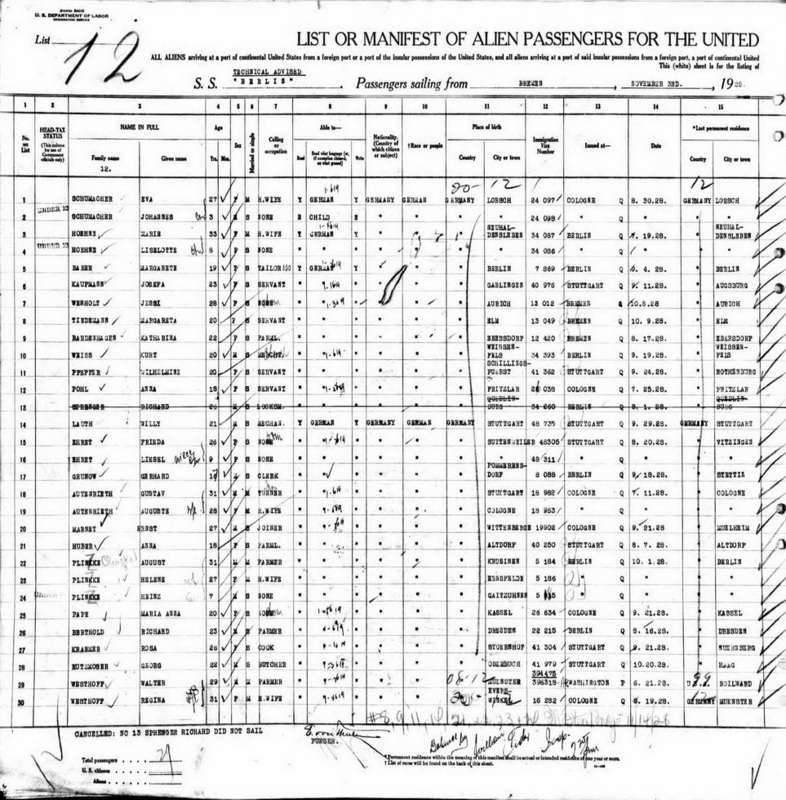 At the age of 7, Heinz H. Plinzke immigrated to the U.S. from his native Germany with his parents (lines 22 through 24). They sailed aboard the SS Berlin from Bremen, Germany on 3 November 1928 and arrived in New York City harbor eleven days later. The family was destined for Buffalo, NY where they would join Heniz's uncle. Heinz, now a U.S. citizen, enlisted in the Army at Buffalo, NY on 6 November 1942. Pvt Plinzke was assigned to Hq 2nd, 508th PIR but his date of arrival is unknown due to missing Morning Reports during that period. 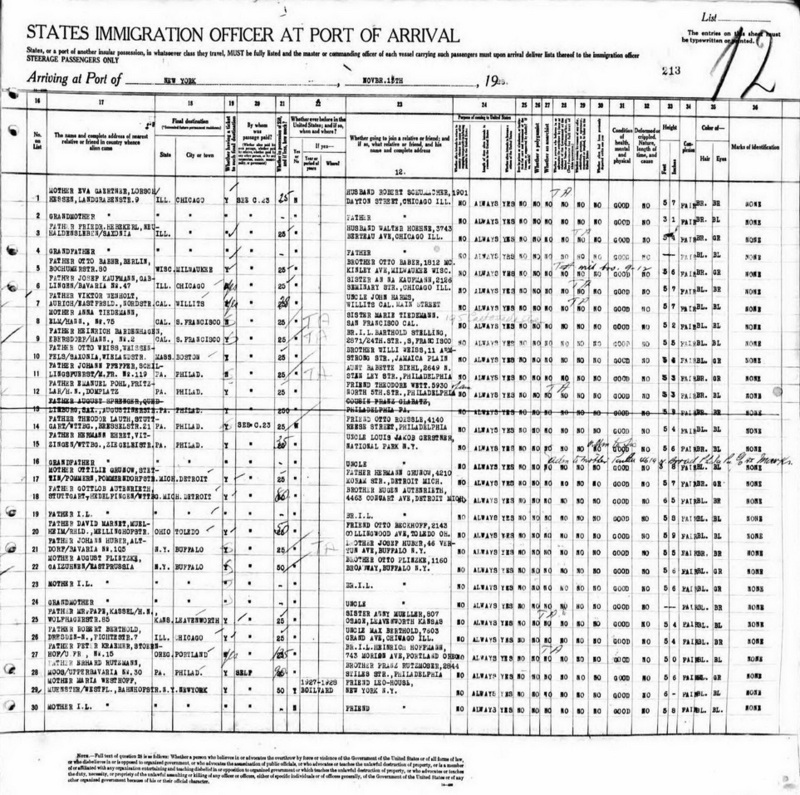 However, on 2 September 1943 he was transferred to an unstated destination. 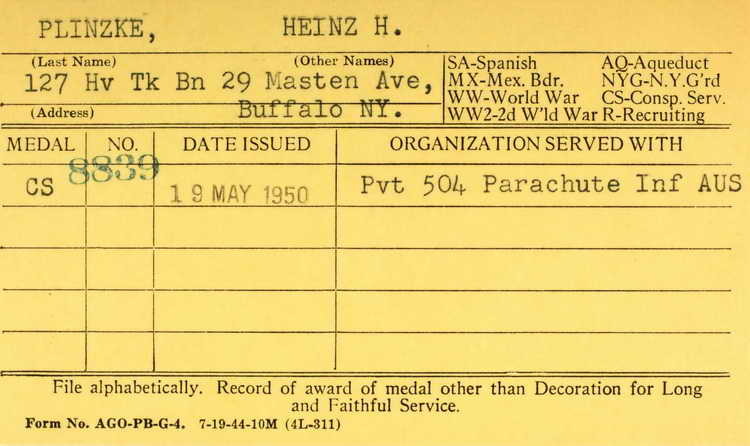 On 19 May 1950 the State of New York awarded Heinz the Conspicuous Service medal which indicated he had served with the 504th PIR. It also appears to show that he continued to serve in the National Guard with the 127th Heavy Tank Battalion which was part of the NY 27th Infantry Division.